We all know what it’s like to have to reduce expenses. Maybe it’s a job loss or an illness that causes us to tighten the belts. When there is too much month left at the end of the money, we all need to find ways to reduce our costs and/or make more money. 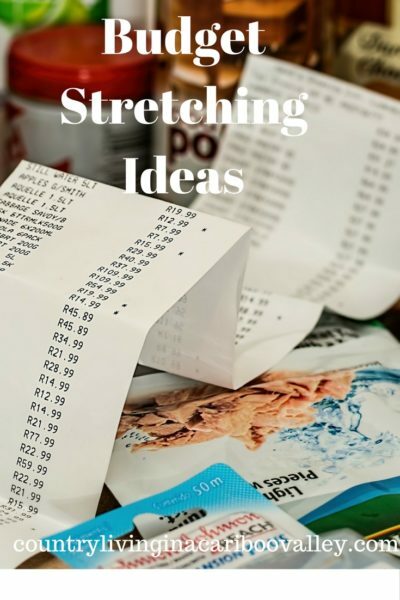 Here are a few more ideas for budget stretching you can use! 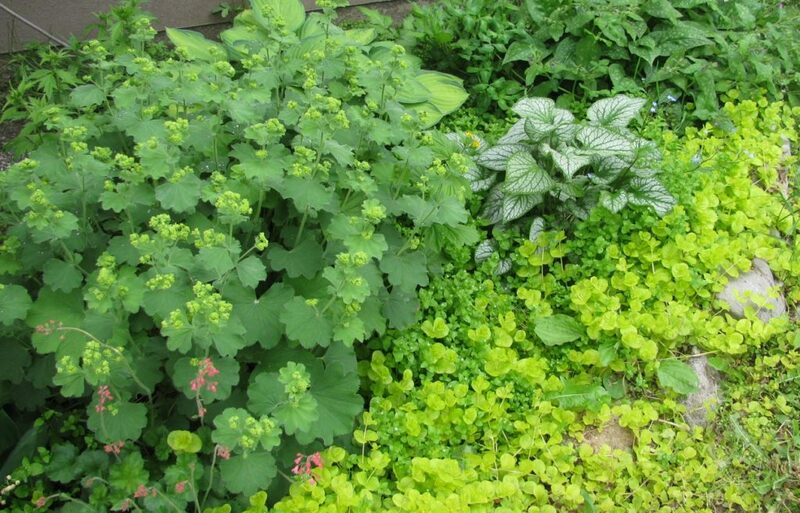 One of the hands down best ways we work at reducing expenses is growing our own food. We grow about 75 – 80% of all the food we eat. It used to be a higher percentage, but I haven’t canned as much this year as I have other years. However, we still have a cold room stocked with garden goodies from past years. This is what stocking up is all about! Still having a surplus of food, even though I haven’t been on the other end of the canner is quite a wonderful feeling! My hard work in years past is Still paying off. I am quite in shock looking around the grocery store; I can’t believe how much prices have gone up in these last few years! $5 for a loaf of bread, are you kidding me? That’s the going price here right now for multigrain bread at the grocery store. 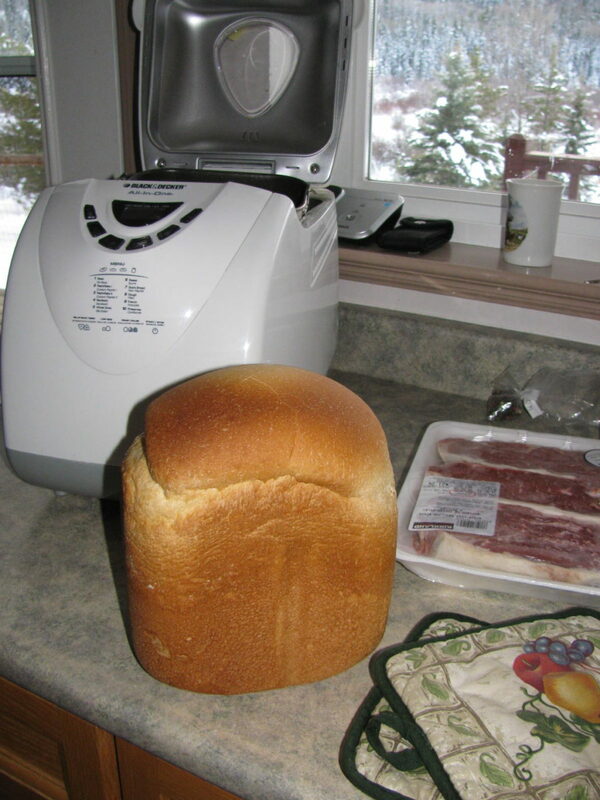 If you can get a bread machine, you can save money over the long term, but you need to use the machine on a regular basis. Paying $70 for a bread machine that gets used three times and then sits on a shelf collecting dust does nothing for you. If you faithfully use it a few times a week, you will get your money back out of it and then some. There’s also the convenience that comes from not having to run to the store to get that loaf of bread. Try and plan to go to the store once a week and then buy all the groceries you will need. 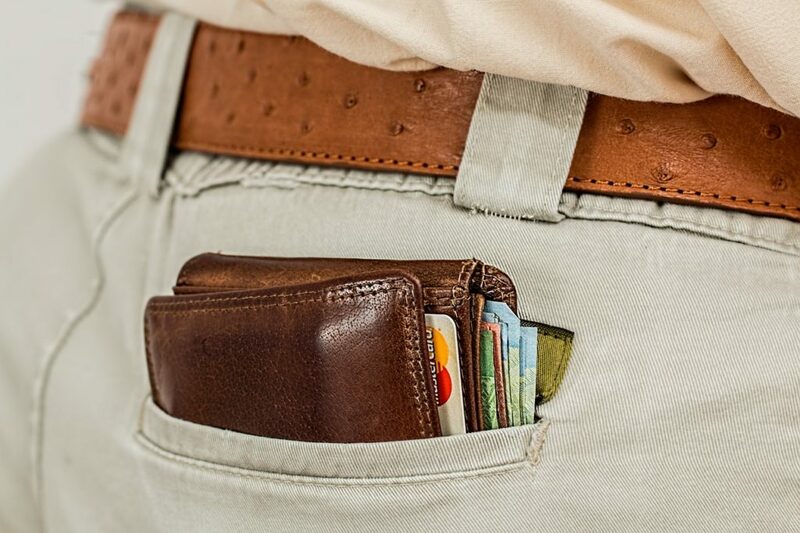 There’s nothing that blows through a wallet faster than repeated trips to the grocery or department store! Buying that loaf of bread when it’s on sale for $3.50 (gasp) can be a help. It’s even more of a help to buy three loaves on sale, and put two of them in the freezer for later use. If you can bring an extra $20 to the grocery store a week, you can take advantage of sales and begin to stock your pantry at home. This is an excellent budget stretching idea! If sugar is on sale, buy an extra bag. Usually sales run in cycles. Try to buy enough so you will have some on hand until the next time it comes back on sale, then stock up some more. 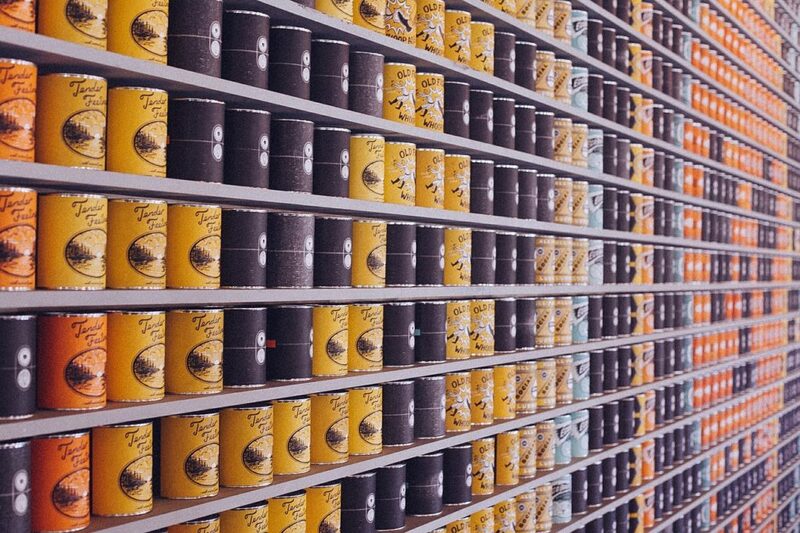 Over time, you will be surprised at how quickly you are able to build up your pantry. What are some other ways to reduce costs on a regular basis? Turn off all the lights in rooms no one is in! This is such a basic thing, yet so many people don’t do it. Every time you leave a light on in a vacant room, you are burning money; why would you do that? Flip that light switch when you leave the room! Use a timer if it makes it easier to get those lights shut off! We heat our 3000 foot house using only our woodstove, except for in January. If the temperatures outside go down below -25C. At that point, we need to turn on a couple of electric baseboards downstairs so that our pipes don’t freeze. 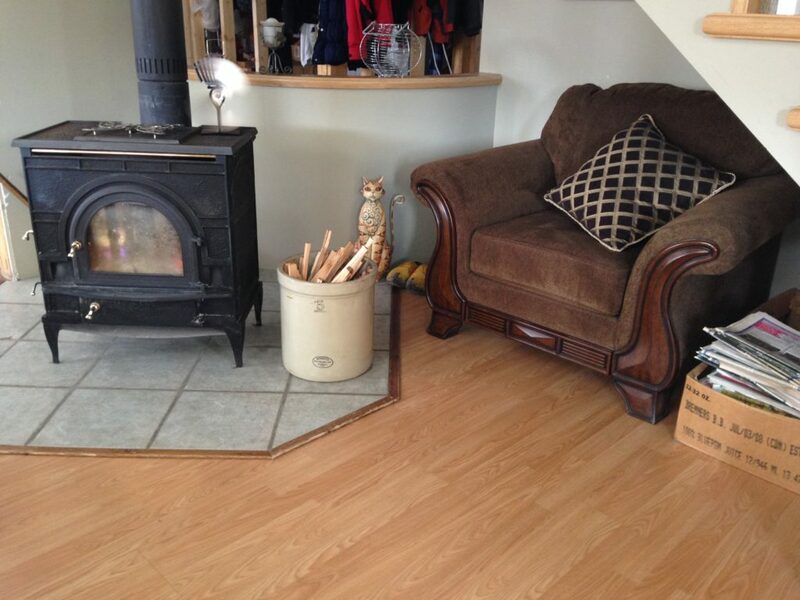 So, we hardly spend any money at all for heating, because we gather our own wood. We always make sure to have a good supply of wood close to the house. We never get lazy about it and think we will just turn on the baseboard heaters; that never happens. There are often coupons for grocery store items, and these might be the ones that first come to mind. These days, though, there is often a coupon for almost anything you need to buy. It’s worth your while to check that out; maybe you can save an extra 10 or 20%. That is money that stays right in your wallet. And that’s the aim of anyone trying to stick to a budget! So, how do you and your family stretch a dollar? What are your very best budget stretching tips? Leave a comment and let other readers know. 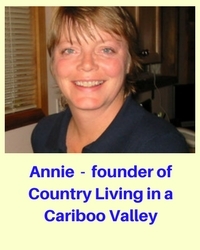 You have some excellent ideas here Annie. 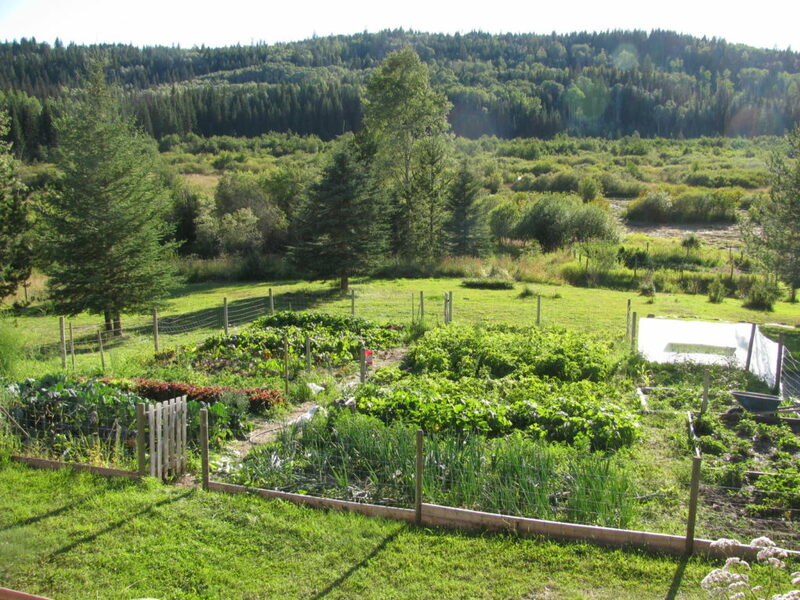 Anything we don’t grow we purchase directly from local family farms – no packaging, no taxes plus it is organic. All our household goods come from the second hand store. Lynn makes a lot our clothing. A number of our friends with wooded acreage are allowing young couples to live on their land in platform tents etc. for free in return for help with their gardens and wood cutting etc. Trade and barter are big here as well. Our south facing windows have survival blankets with the shiny side out on rollers which we close during the summer days so we don’t require air conditioning. 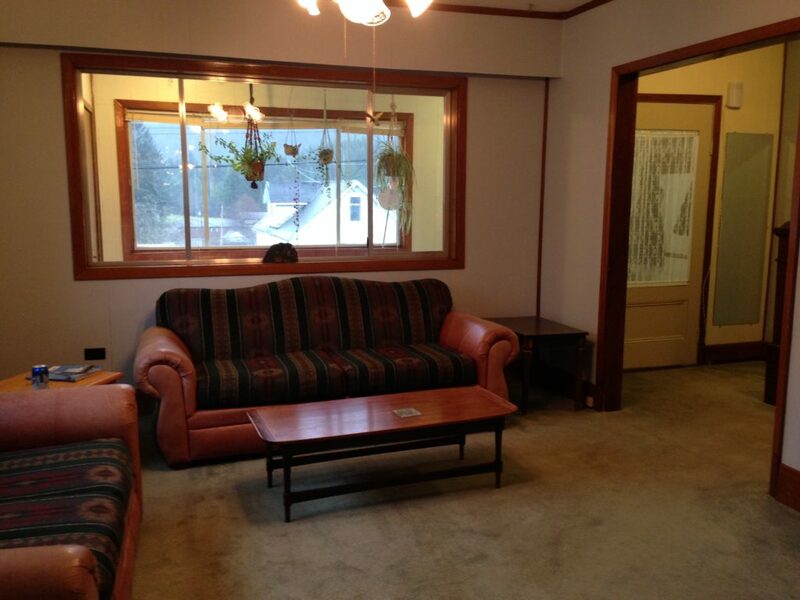 Of course we also close the drapes during summer days. We car pool for trips to town and heat with wood..
You both do such a great job at being more self sufficient!